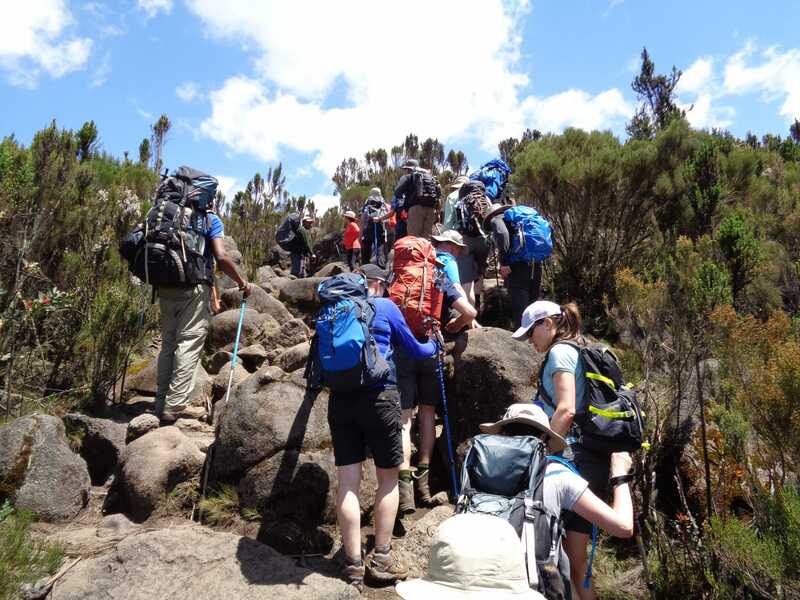 Climbing Mount Kilimanjaro my journey to the top. 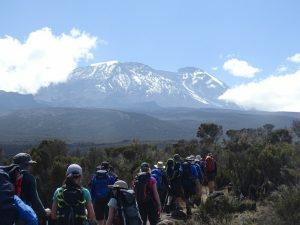 My journey to the top of Kilimanjaro was the best experience of my life. It truly exceeded my expectations. It brought me new friends, family and experiences to be cherished for the rest of my life. I was left inspired by team mates, Ian’s staff, their stories and my ability to get myself prepared and ready for the climb. It did it!! and proved to myself I had the strength, ability and persistence in the face of this mighty mountain. First of all, I need to express my deep gratitude to Ian and Laura. Their knowledge, wisdom and experience were invaluable. You guys helped me believe in myself and helped me achieve the summit of Kilimanjaro. 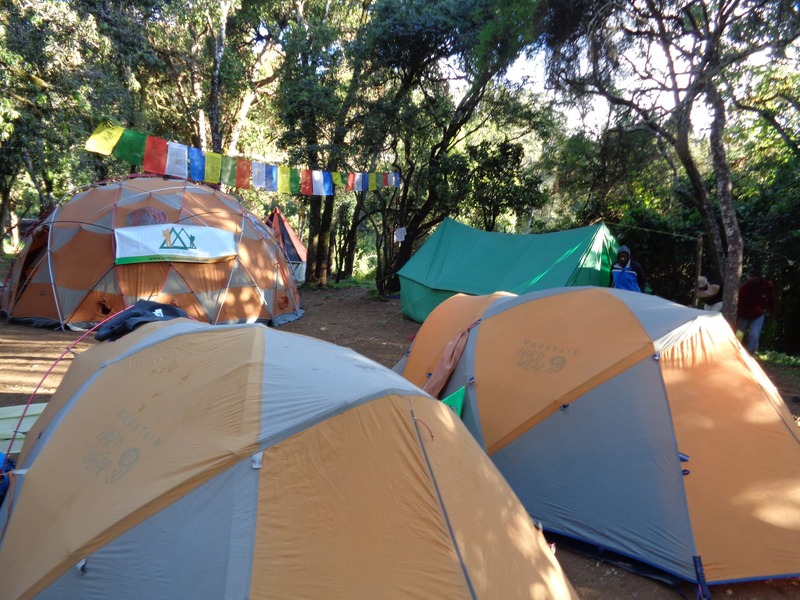 If you are looking to climb Kilimanjaro, Ian has the team in place to make it happen. They are some of the best people I have ever met and I will be back with a few friends. I have been wanting to trek or climb something for a long time. I traveled quite a bit in my twenties. I trekked in Nepal and South America but started working and really struggled with my fitness since then. I am now almost forty and needed something to focus my attention and fitness too, so I set my sights on climbing Kilimanjaro. My journey was slow and took me 8 months to prepare. When I spoke to Ian he really pushed the 8 day Lemosho route and I am so glad I ran with his recommendation. The extra days made all the difference to my enjoyment, ability to climb the mountain and my success. I witnessed so many sick people along the route from Barranco camp. Ian had talked about it, but seeing so many people vomiting, coughing and generally unwell was a sight to behold. I did talk to a number of people and they were all on shorter treks, aiming to summit on day 4 or 5 of their trips. Our team were doing great and we tried to stay away from all the other teams. We had 10 people in our team and we were all having a great time on the trail. I really enjoyed the trek on the first 2 days, walking through the rain forest was something I really enjoyed. Watching the sun go down through the rain forest at big tree camp was amazing and I was eager to enjoy the moment but keen to experience more. 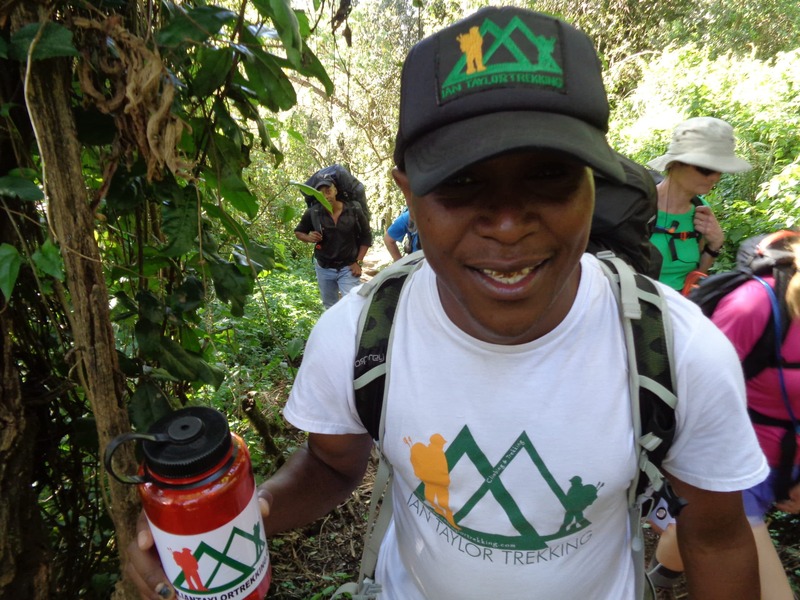 I was just so excited to be on Kilimanjaro and working towards the summit. The set up was great and the food far surpassed by expectations. 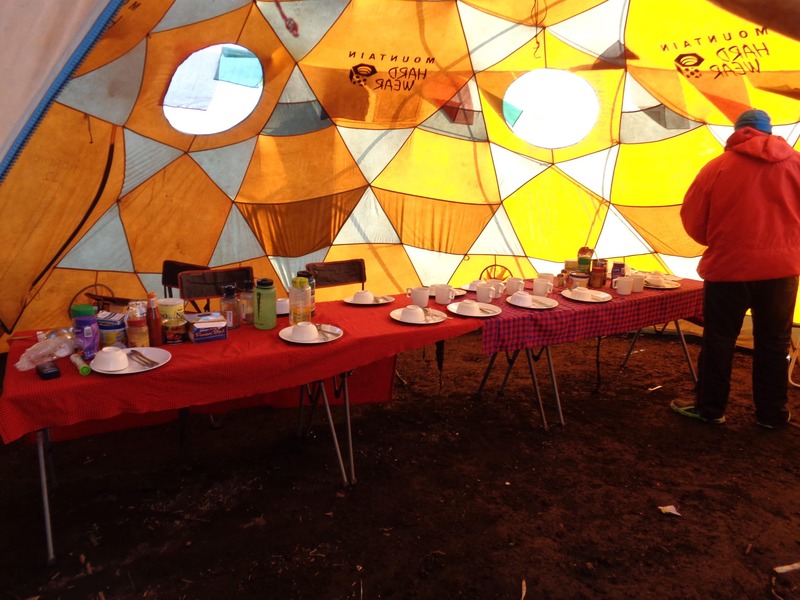 We had two chemical toilet tents, a massive dome tent, spacious mountain hard wear tents and a staff who were there to help in every way possible and all the time. They were a delight to be around and worked so well as a team. I was really happy with the pace, my performance and once I reached the Shira Plateau I really felt I could do this. Little did I know the 14 hour summit night and day would be far harder than anything I had ever experienced before. 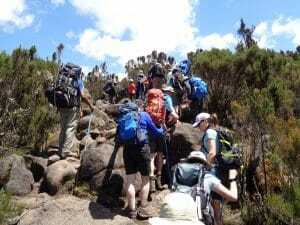 The journey across Kilimanjaro was one of measured relaxed hiking. 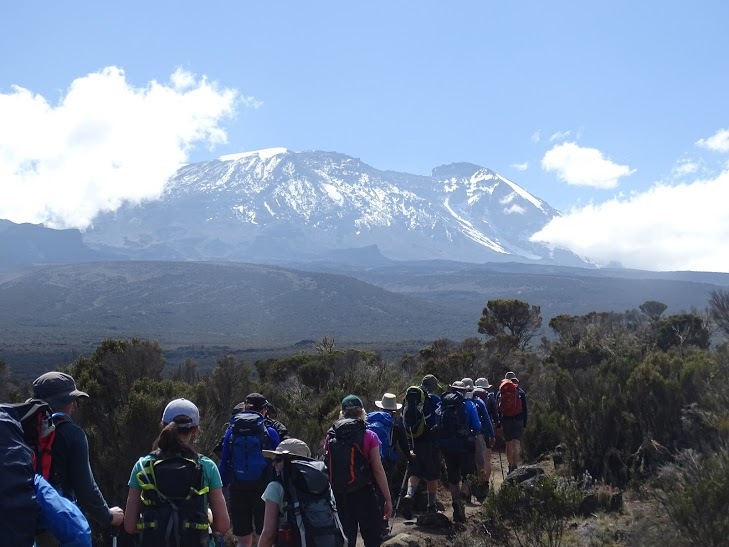 The guides focused on pacing the group and keeping everyone together which really helped build the team and also keep a positive atmosphere throughout the whole journey up and down the mountain. Read some REVIEWS.